Stuff Points: Earn 190 points when you buy this stuff. 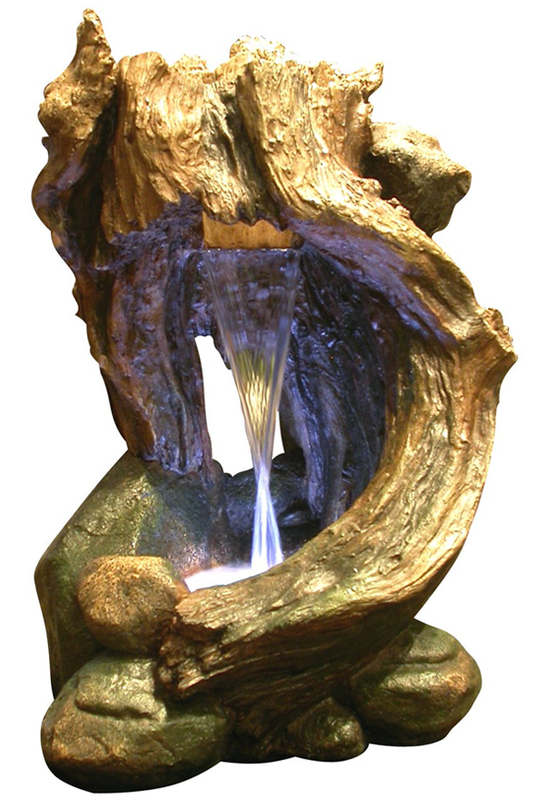 Curving wood perfectly frames a powerful waterfall that continuously flows into a lighted pool. The large branch combines with realistic stones to create a peaceful scene that would blend with any landscaping in your yard, or preexisting decor inside your home. All of the parts look like they were sourced directly from a rain forest, but they are actually molded from fiberglass resin, and then hand finished to look like the real thing. You get the same natural look as real wood and rock would provide, but at a fraction of the cost, and with a much lighter overall weight. A high quality pump will pull water up to the top of the branch where it will collect to form a pool. Once full, a wide waterfall will form, and then cascade down into the larger pool below. The thick stream of water falls from a good distance, and is much more than a trickle, so the water sounds will be enhanced when compared to other models. Submerged in the lower pool is a bright LED light that will illuminate the running water, and shine upward to reveal detailing in the wood. It's made from durable materials that can be used indoors or out, and it comes complete with a one year warranty to cover the electronics. 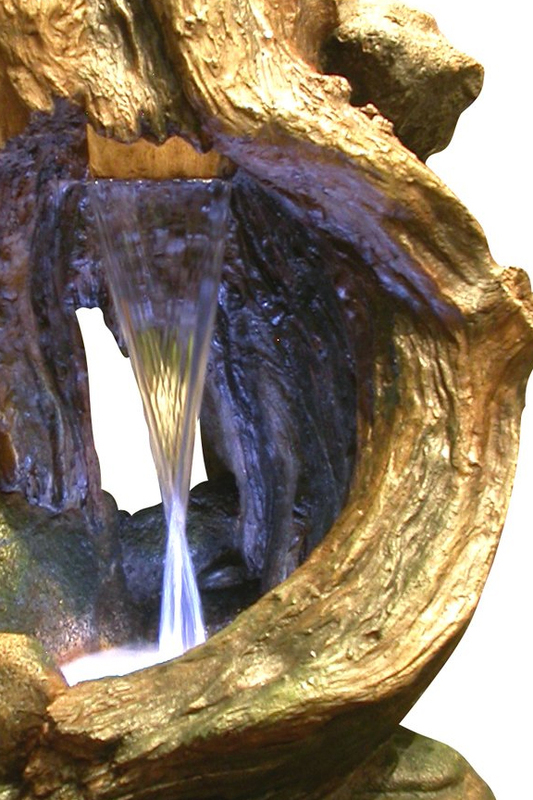 Curving wood combines with realistic looking stone to create a natural looking water feature. Blend with landscaping outside, or improve decor in any room in your home. Order Yours Today!